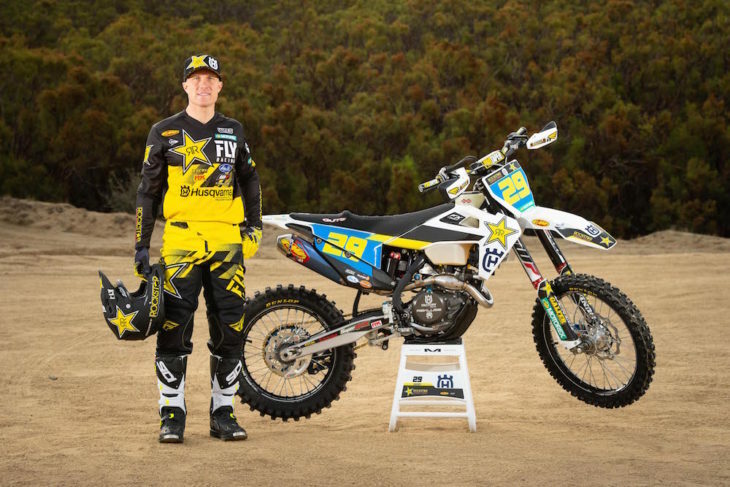 Former motocross/supercross racer Andrew Short, who transitioned to rally racing with the Rockstar Energy Husqvarna Rally Team, will add the 2019 WORCS Championship to his list of things to do next year. Andrew Short will compete in the 2019 WORCS Championship as a member of the Rockstar Energy Husqvarna Factory Racing Off-Road Team. Short will continue his efforts in rally but will seek the WORCS Championship, as well. The team officially announced its other U.S. off-road racers, which include Colton Haaker, who will defend his AMA EnduroCross Championship and again follow the FIM SuperEnduro Championship, Thad Duvall, who will also compete in the WORCS Championship as well as the GNCC Championship, and former XC2 GNCC Champion Trevor Bollinger, who will focus solely on GNCC.